After more than 15 notable years at Nintendo of America, and nearly 13 as its President and COO, Reggie Fils-Aime will retire. His last day with Nintendo will be April 15. 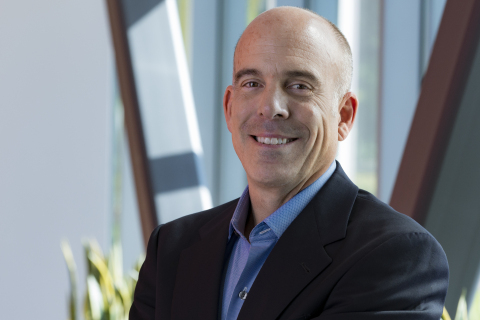 Doug Bowser, NOA’s current Senior Vice President of Sales and Marketing, will then succeed Reggie as President of Nintendo of America. Fils-Aime started at Nintendo of America in 2003 as its Executive Vice President of Sales and Marketing and became its President and COO in May 2006. His time with Nintendo began during the Nintendo GameCube and Game Boy Advance era. His leadership of Nintendo’s largest territory expanded the audience for Nintendo products as phenomena like Nintendogs, Brain Age, Wii Sports and Wii Fit brought millions of new players to the world of video games. Fils-Aime’s management led to record-breaking sales for products like the Nintendo DS, Wii, Nintendo 3DS and Nintendo Switch systems. At the same time, he communicated innovative new product features to a mass audience via his strong and affable personality, making him a favorite of media, members of the video game industry and Nintendo fans alike. During his tenure, Nintendo of America has expanded its physical presence in the U.S., having established a key sales and marketing office in Redwood City, California, and built a new NOA headquarters in Redmond, Washington, that has received awards for its environmentally friendly design. Bowser is an industry veteran who joined NOA in May 2015 as the Vice President of Sales before being promoted to Senior Vice President of Sales and Marketing the next year. During his time at NOA, Bowser led the sales and marketing efforts for Nintendo Switch, which became the fastest-selling video game system of this hardware generation through 21 months, according to The NPD Group. Previously, Bowser was an executive with industry powerhouse Electronic Arts, most recently as the company’s Vice President of Global Business Planning. He also worked at Procter & Gamble in various sales leadership roles in Asia, Latin America and the U.S.
Reggie Fils-Aime se retira el 15 de abril. Lo mejor: el nombre de su sucesor: Doug Bowser. Editado por Val Wiggin, 21 febrero 2019 - 21:22 . Editado por danidonkey, 21 febrero 2019 - 21:21 . Al final se jubila antes que Miyamoto, pobre. My body IS NOT ready. Como Reggie Kong no habrá ninguno. His body is ready... for retirement. Editado por Ratsot, 21 febrero 2019 - 21:43 . ¿Pero se retira de trabajar? ¿Con 57 años? Qué hijo de puta.